Betty Tyler: From Homeless to Hope. 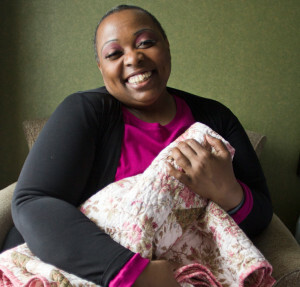 Betty Tyler’s circumstances were unimaginable for most of us – homeless and in search of a safe, supporting environment to begin her breast cancer treatment. She found both thanks to the extraordinary care and compassion of our treatment support community. A stay was arranged at a residence hotel across the street from her treatment center. Groceries were delivered to her regularly. Not able to travel beyond the short distance to treatment, a “house call” was made to custom fit a new bra. Planning has begun to transition her to permanent resources for housing and support. “My heart used to flutter all the time,” Betty offers as she talks about the stress she was facing. “’Who are those people, are they real?’” she says she keeps asking herself.